Last week’s poll, “Sporty Stories“ has now closed. Click HERE to see which sport won as the favorite in film? Thank you to everyone that voted in last week’s polls and made it fun with your comments! In this edition of ‘TVT’ this week’s poll, entitled “Revvin’ Roadbikes”, takes a look at some movie motorcycles. Some great motorcycles in movies. Place your votes. Leave a comment. Which bikes would you love to own? ***Don’t forget: For additional polls, updates, trailers, news, and more, become a fan/follower on Facebook and Twitter. Previous Movie News Monday for February 27, 2012! Next The Avengers: New Trailer!! It’s the Lightcycle and the Batbike for me. Just love the look of both of them. And the ability to do a 180 back-wheel turn in the bike could prove useful. Cloud Strife’s bike from Advent Children! ah! a nice choice. thanks for voting today. I voted the same as Jaina. 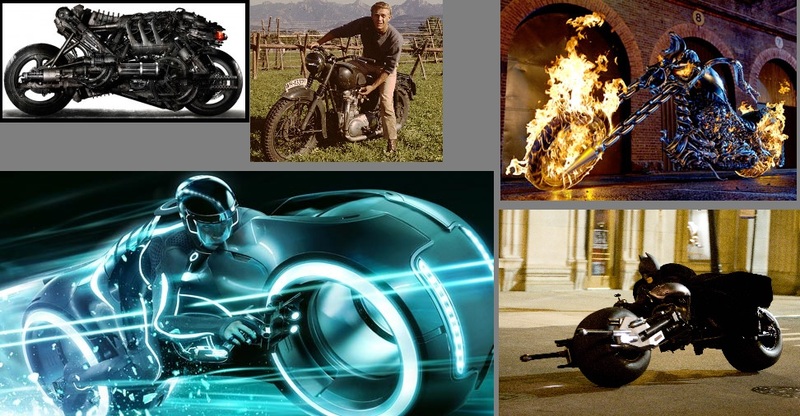 I didn’t like TRON Legacy at all, but it sure would be fun to ride those bikes. wouldn’t it? Man, the Batbike would be awesome to ride. Great Escape (Real World cool) plus Tron Light Cycle (Movie Magic cool) = win! glad you went with the classic Steve McQueen transport there Fogs’! I’m also going with Jaina on this. 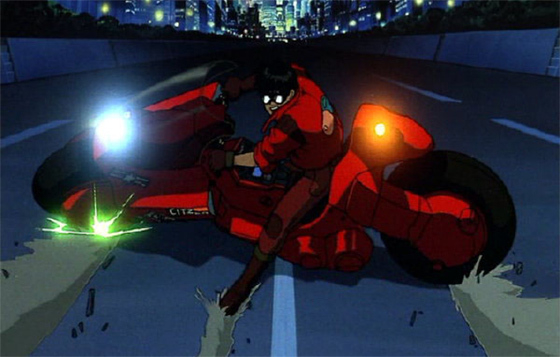 Steve Mcqueens bike and Kaneda’s bike from Akira. I was also thinking of putting Peter Fonda’s bike from Easy Rider. I almost put up Easy Rider as an option. Nice choices! Plus the akira bike has a Canon sticker on it! Oh this is an easy one, for sure I want that Batpod!! Like Mr. Gordon says when he saw the Batmobile, ‘I’ve got to get myself one of those! !” And second choice, no doubt, those Tron Lightcycle!! TRON is not a good movie but those Lightcycles are spectacular! Nice poll, T.
TRON and Batman win again! ha. Thanks for chiming in on today’s fun poll. Ghost Rider may be terrible but the bike is pretty damn awesome I say! And you can’t go wrong with the Batpod and all of its gadgets. Sometime cutting you off without blinking their signal light? Road rage time! Anakin rode a Swoop Bike in Episode II; that’s almost Darth Vader riding a motorbike! I’m not a fan of motorbikes in particular, but the purring that the Harley makes in T2 always makes me smile. It is a Harley isn’t it? Like I say, I don’t really know bikes! ah! true story. I was wondering who would be first to comment on that Darth Vader comment. Nice. and yes, the Harley Fatboy that Arnold rode in T2 is pretty amazing. Thanks for voting today and welcome to the page! now THAT is an awesome possibility! I like how you think. I chose other because I really like Tron’s bike.